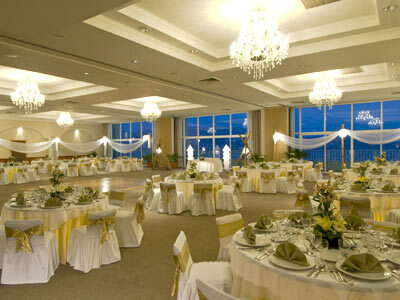 In our two restaurants and snack-bar, you will taste authentic Mexican food, fresh seafood and International Cuisine. 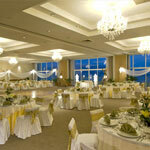 You will enjoy a real Mexican atmosphere while we provide you a warm and quality service you deserved. Bellavista: Early morning with a pleasant atmosphere. Bellavista opens every day for Breakfast, Lunch and Dinner (buffet style) national and international original creations. 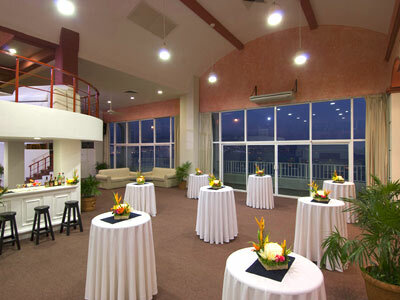 From the private terrace you get an excellent view of the Acapulco Bay. Breakfast from 7:00 am to 12:00 pm Lunch 1:00 pm to 5:00 pm Dinner from 7:00 pm to 11:00 pm from 12:00 p.m. to 1:00 pm and from 5:00 pm to 7:00 pm offers poolside snacks and a la carte. 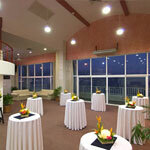 El Cocotero: located in a privileged place, at beach level with an excellent atmosphere. Offers service a la carte. 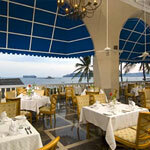 It is the perfect place to enjoy delicious fresh seafood dishes. Open from 1:00 p.m. to 5:00 p.m.
At Mosquito Beach, your only worry should be how to spend your day. Will you sleep late or get up at sunrise for an early morning swim? Have breakfast in the restaurant or your room? 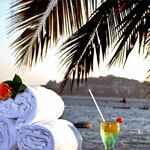 What kind of drink should you order this afternoon at the beach bar? Will it be a massage or a facial in the spa today? We are at your service during your stay. Enjoy the warm sunshine, powder white sand, and warm Caribbean waters on the beach. 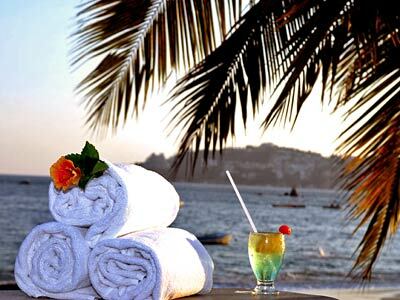 Grab a drink at the beach bar, which also offers complimentary sun beds and towels. Go for a swim in our pool. Pamper yourself with an in-room massage or go to our 4,000 square-foot Zen Eco Spa at our sister property, Mosquito Blue, for true indulgence. 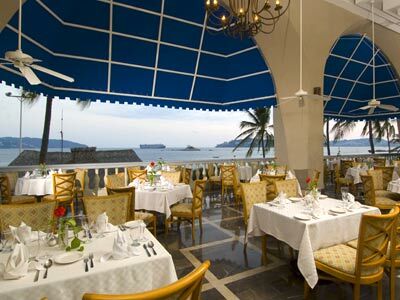 Dine at the Mosquito Beach Restaurant, which features outdoor tables, or opt for room service.